Few months back, Lenovo unveiled the Yoga tablet and here in Mobile World Congress they have already unwrapped the successor, the Yoga 10 HD+ tablet which brings several improvements in its hardware with improved design, faster processor and a crisp display. The tablet, as the name suggests, sports a 10.1-inch Full HD display with a resolution of 1920 x 1020 pixels and a 178 degree IPS wide viewing angle. It is armed with a Quad-core Snapdragon 400 processor clocked at 1.6GHz and has a 2GB of RAM on board. To store files and apps, the device has both 16GB and 32GB version with microSD slot expandable upto 64GB. Other specs include a 8MP rear camera, 1.6MP front facing camera, dual front-facing speakers and an impressive 9,000 mAH battery that would be able to run for upto 18 hours straight using Android 4.3 Jelly Bean pre-installed out of the box. 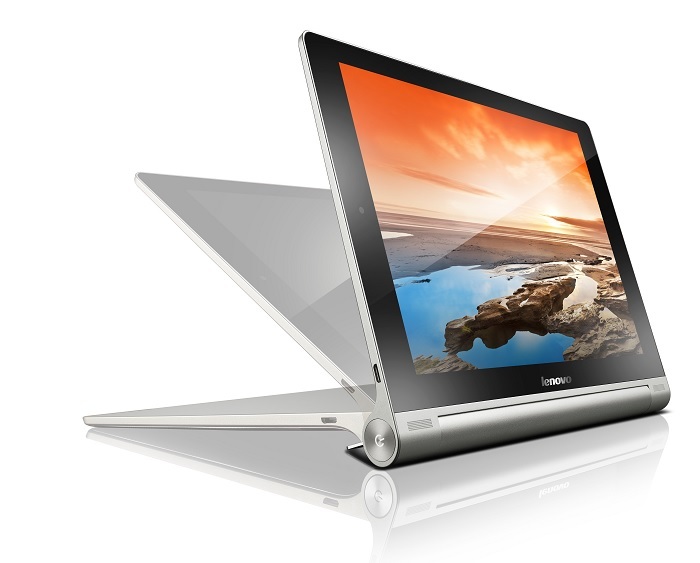 The Yoga 10 HD+ tablet will hit the stores in April and will carry a price tag of $349.